Most functions and classes in C# API have the same names and behavior as in C++ API. refPtr() - returns the reference counter. getPtr() - returns the internal pointer. checkPtr() - returns false if the internal pointer is IntPtr.Zero ; otherwise, returns true. clearPtr() - clears the pointer. After calling clearPtr(), getPtr() will return IntPtr.Zero and checkPtr() will return false. destroyPtr() - destroys the pointer. The pointers are managed in the same way as in C++. v - Unigine.Variable (the same class as the C++ API Unigine::Variable class). See also an example of function exporting. The C# API also has the Renderer class. This class allows you to get access to the specific pass of Rendering Sequence by overriding virtual methods of the Unigine.Renderer class. In the C# API you can inherit from Renderer, Package and Plugin classes only once. Read about the C++ API Unigine::Renderer class which has the same methods and behavior as in the C# API. 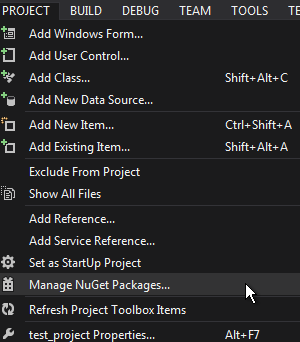 You can read the documentation of some of C# API methods by using the Object Browser in Visual Studio. 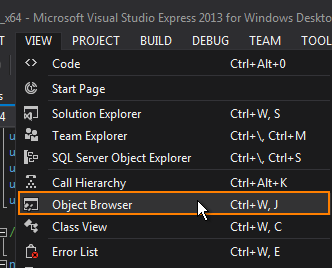 In Visual Studio, click View -> Object Browser or press CTRL + W and then J. The Object Browser window will open. 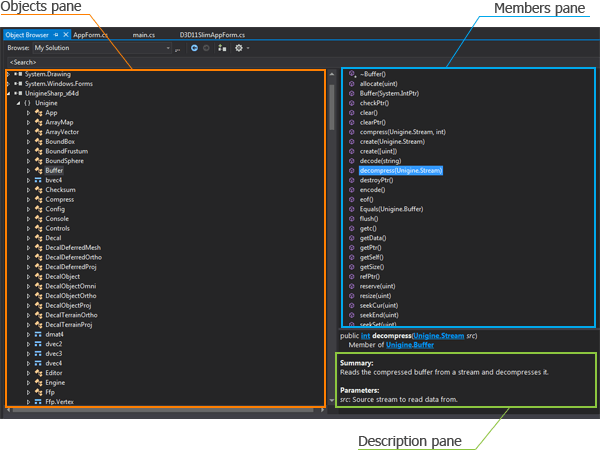 The Object Browser displays three panes: an Objects pane on the left, a Members pane on the upper right, and a Description pane on the lower right. 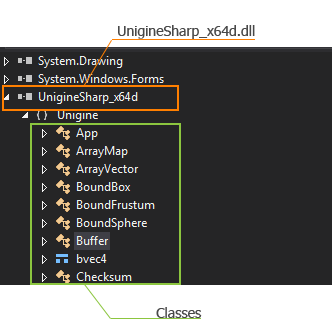 Select the UnigineSharp_x64d (or UnigineSharp_x86d) object in the Object pane and choose the class you wish to view. Specify the member in the Members pane. If the description for chosen member exists, it will appear in the Description pane. Article on C++ API Reference.